"Tonsley is not only smart and sustainable. It’s also a place for people." When the South Australian Government began to think about alternate uses for Tonsley – Mitsubishi’s former manufacturing site in Adelaide – it saw an opportunity to create a thriving community that was prosperous, resilient and sustainable, and so it turned to Green Star – Communities for help. Tonsley is Australia's first mixed-use urban redevelopment to be awarded the prestigious 6 Star Green Star – Communities certification, an achievement the GBCA’s Chief Executive Officer says reflects Tonsley’s outstanding commitment to sustainability. “Tonsley’s 6 Star Green Star accreditation is an unprecedented milestone for the South Australian building industry,” said South Australian Treasurer Mr Tom Koutsantonis. 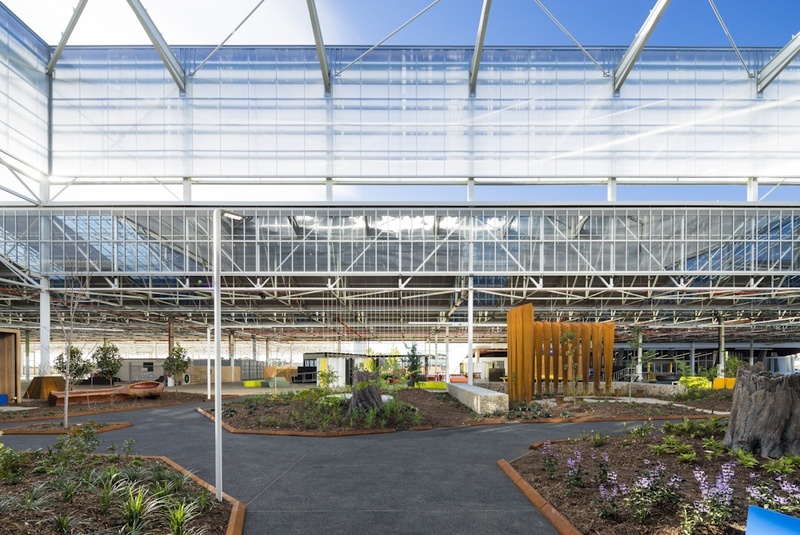 While planning Tonsley, the project team created a Site Wide Built Form Development Manual and site-specific Urban Design Protocol to ensure all buildings adhere to the sustainability and liveability vision for the site – and in doing so has set new benchmarks for sustainable urban renewal in Australia. In fact, Tonsley has become part of the ‘Adelaide Living Laboratory’ project, a unique collaboration between Renewal SA, University of South Australia and the Low Carbon Living Cooperative Research Centre (CRC). The project brings industry, government and researchers together to collaborate on low carbon solutions for the built environment. Tonsley will play an important role by enabling the CRC to explore behaviour change towards more sustainable living and test new ideas for future low-carbon precincts. Matthew Waltho, Renewal SA’s Sustainability Manager, led the Tonsley Project team to understand the Green Star – Communities framework and implement strategies and projects to meet the requirements. “Achieving a 6 Star outcome came as a result of an outstanding co-ordinated effort from the team, including many consultants across a wide range of disciplines, who kept a focus on innovative ways to integrate sustainability with economic growth and community investment from the initial master planning stages. This is now being delivered in the early built form stages of the project,” he says. When Tonsley’s masterplan was being developed back in 2012, the South Australian Government set a clear brief for the site. The former manufacturing park was to become a sustainable centre for innovation and productivity, drawing workers, developing high-value industries and contributing to the state’s economic success. 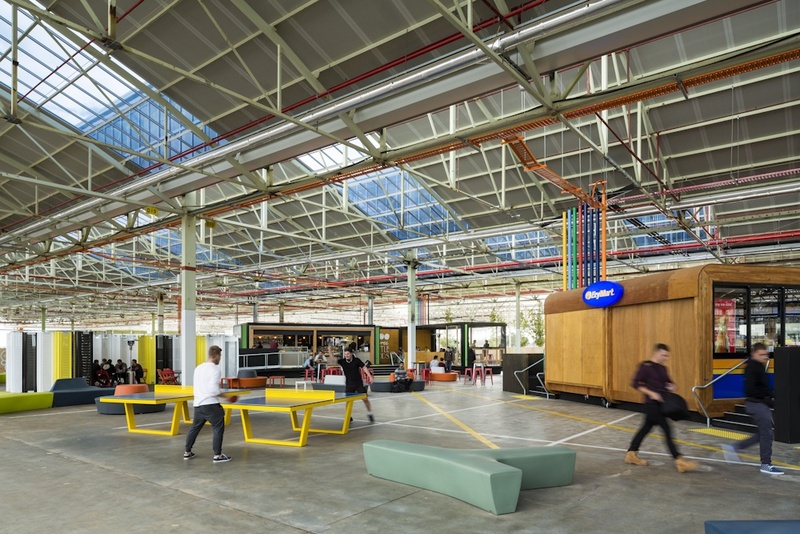 To achieve these goals, Tonsley needed to incorporate the right mix of uses, and to facilitate connections between people, businesses and educational institutions. Adaptive reuse of existing infrastructure is helping to do this by creating a central hub of activity for the community and plenty of opportunities for social and commercial interaction. The former Mitsubishi Main Assembly Building (MAB) has been retained as the central town square. Once complete, MAB will incorporate retail outlets, eateries, meeting areas and education spaces. Flexible, modular and pod tenancies will also attract small and medium businesses. Education and research are true cornerstones of the Tonsley masterplan, with Flinders University and TAFE SA signing up as anchor partners in the development. TAFE's $119 million Sustainable Industries Education Centre (SIEC) provides nearly 45,000 sqm of world-class, energy efficient, trade training infrastructure. The centre – considered the most innovative and advanced in Australia – brings together all the building, construction and renewable energy trades under one roof so students can learn and work together, with more than 6,500 students training in sustainable building and construction occupations each year. Flinders University's $124 million Tonsley campus, home to computer science, engineering and mathematics, as well as the New Venture Institute focused on entrepreneurship and Flinders Partners’ innovation program, is the largest single investment in educational facilities since the university was established more than 40 years ago. Approximately 2,000 students and 150 staff will be based in the new building. Flinders University Vice Chancellor, Professor Colin Stirling says the co-location of key industries with tertiary education and research facilities will be a boon for the community and its residents. In addition to providing an activated hub at the heart of the community, retaining the MAB ensures Tonsley is a world-leader in emissions reduction. Around 90,000 tonnes of embodied carbon emissions have been saved – the equivalent of removing 25,000 cars from the road for a year.Within the MAB, internal forests will provide beautiful natural spaces for members of the community to enjoy, while at the same time capturing carbon and purifying the air. The environmental benefits don’t stop at carbon capture, with the MAB’s expansive roof providing the perfect infrastructure to support an extensive 3MW photovoltaic array. Tonsley’s public spaces are being created using water-sensitive urban design principles, while walking and cycle paths provide easy access to public transport and connectivity across the precinct. Tonsley’s masterplan also incorporates around 11 hectares of residential space which will eventually be home to around 1,200 people. Creating homes will ensure the precinct remains active outside of business hours, and give the opportunity for those who work or study at Tonsley to live close by. The rail station is at the doorstep of the residential area, with new electric trains meaning faster, more frequent and cleaner journeys to the city. The result? Fewer transport emissions and a cohesive community identity.